The President Maithripala Sirisena inaugurated the national pledge to eradicate the drug menace, “Bak Maha Divuruma”, short while ago. The National Pledge to eradicate the drug menace (Bak Maha Divuruma) commenced this morning to commit themselves to build a country free from the drug menace. 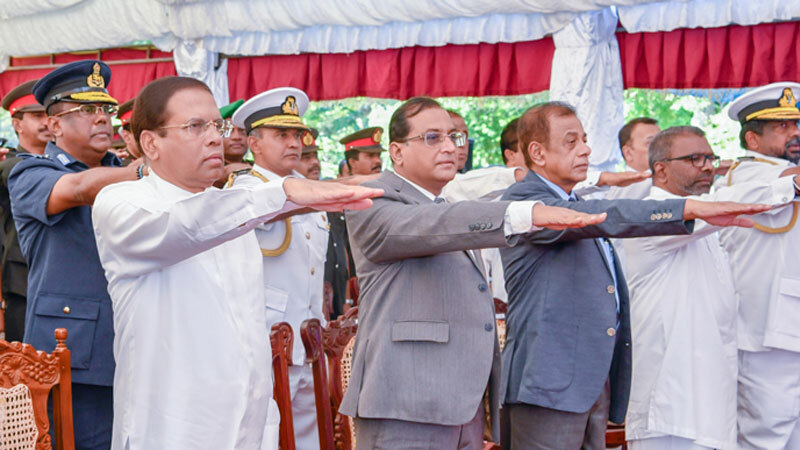 The main ceremony was held at Independence Square today at 8.15 a.m. under the patronage of President Maithripala Sirisena with the blessings of all religious leaders.